Quilt top bedspread circled in a gathered 20" drop. 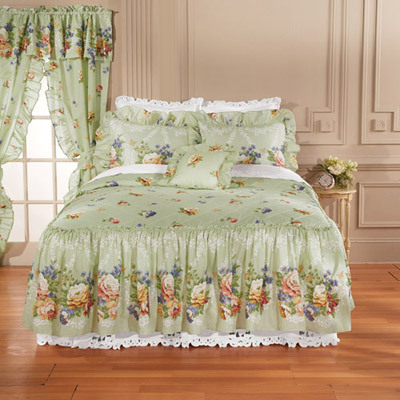 To complete the look, choose shams and Priscilla panels with attached valance. Easy care cotton/polyester with polyester fill. Machine wash. Imported.